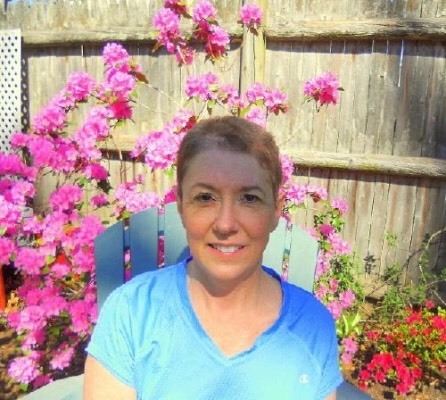 Laura Rose (Hastert) Long, 58, passed away on March 31, 2019 at the Tippett Home in Needham, MA after a long illness. During her stay at the Tippett Home, there was always a loved one by her side. Laura is survived by her parents Robert and Ava (Bromwich) Hastert of Lawrence, Kansas; her beloved husband, James P. Long and their son Evan Long of Needham; her sons, Craig Cestari of St. Paul, Minnesota & Calvin Cestari of Boston and their father Mark Cestari of Newton; her 2 siblings, Paul Hastert and his wife Laura of Houston, Texas and Joyce Jordan and her husband Dean of Lawrence, Kansas; her five nieces and nephews; her beloved Uncle Jim Hastert and Aunt Phyllis Hatt and many loving cousins. Laura was born May 15, 1960 in Cleveland, Ohio. She knew from a young age that she wanted to be a nurse. Laura went on to earn her bachelors, masters and doctorate degrees in Nursing from Boston College, Southern Connecticut and UMass Boston respectively. She spent a dedicated career practicing nursing and as a professor teaching classes on healthcare policy. She worked at many of Boston’s best hospitals and healthcare agencies and taught undergraduate and graduate courses for many years at College of the Holy Cross among other Universities in the Boston area. Laura was also an accomplished writer, penning several pieces published in the Boston Globe Magazine and in Nursing journals. She was a member of the First Parish in Needham Unitarian Universalist congregation. A much-loved neighbor and friend, Laura cherished the bonds she shared with those close to her and her family members. She will forever be remembered as an educator and a compassionate caregiver. In lieu of flowers, Laura requests that donations be made to the VNA Care Network, 254 2nd Avenue, Needham, MA, 02494. Laura loved her job working for the VNA Care Network as a Hospital Liaison, and they provided outstanding care while she was a patient in her final days at the Tippett Home. A Celebration of Life Memorial ceremony crafted by Laura will be held for her at 10:00 AM on May 18, 2019 at First Parish in Needham Unitarian Universalist at 23 Dedham Ave. in Needham, MA. There's still time to send flowers to the Celebration of Life at the First Parish Unitarian-Universalist at 10:00 AM on May 18, 2019.